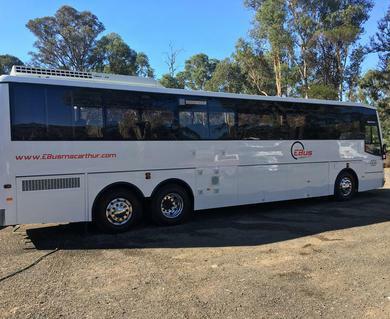 Travelon Coaches Macarthur are in the process of taking over EBus. 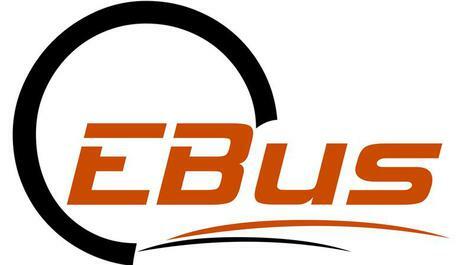 The Operators of EBus made the decision not to continue operating the service this year. With most clients using the 30 day payment system as a small bus company it makes it very hard to give you the service you expect and deserve in Macarthur. Goods and services should be paid for in a timely manner which just doesn't happen. In many cases its well over 30 days. If bus operators stood together the industry would be better off for it. That does not happen and many small operators really are struggling as they are kept waiting and waiting for payment. We thank the schools of Macarthur for using the service and realize the payment system is not there decession. We wish all other operators the best of luck with their operations in the future. To all our former schools thank you for supporting us, we recommend Travelon as there fleet is of a far higher standard than most others are offering in the area. Travelon has over 20 years servicing Macarthur and surrounding areas. 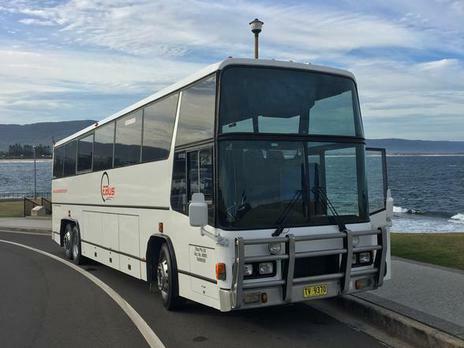 Volvo Motorcoach , away for a day or a week ! Full details on the about us and service's page. Pictured below the Interior of the EBus Hyliner, and our tour spec Motorcoach. 69 Seats, two classes on one big Coach. Click clack ,all the way to the back. 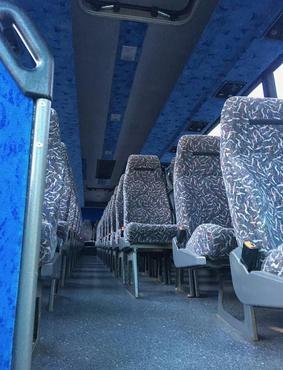 Teachers please note due to the large capacity, of the Hyliner Coach all bags and or luggage must be stored in the luggage bins under the Coach, to keep the isle way clear and cabin free of any obstructions to the exits. 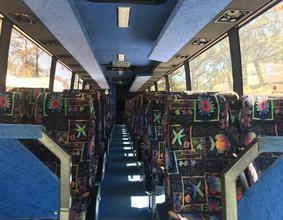 See the About Us page for a look at the interior layouts of our Buses and Coaches.